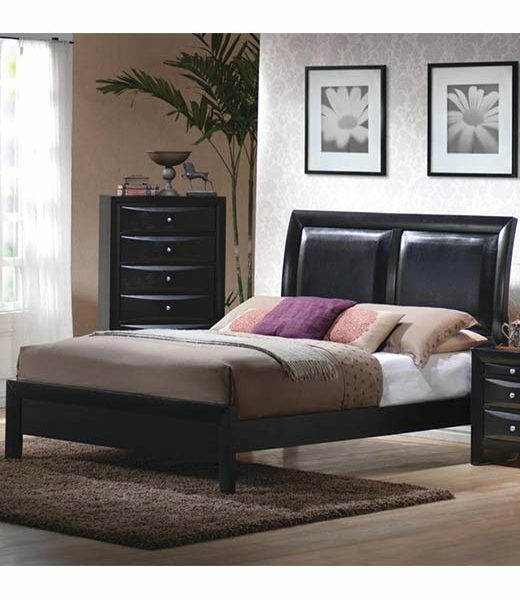 This contemporary platform bed will add a touch of sophisticated style to your master bedroom. The high slightly curved headboard features two plush bi-cast leather panels for a luxurious look, while a smooth black frame with low profile footboard and chambered edges creates a sleek balance. Pair with the coordinating collection items for a harmonious style in your calming bedroom. The cool contemporary Briana collection will give your master bedroom a modern update. A bi-cast upholstered headboard acts as the stunning centerpiece. Spacious storage options make these pieces practical too. 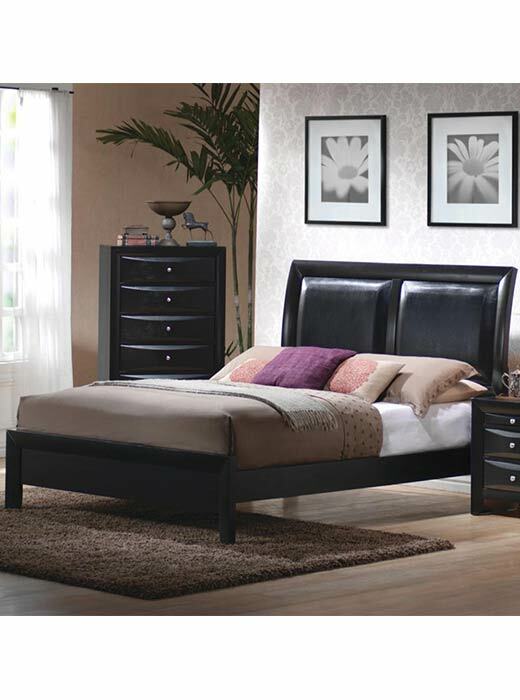 In a Glossy Black finish, this bed has a luxurious look. Easy to clean Leatherette fabric.